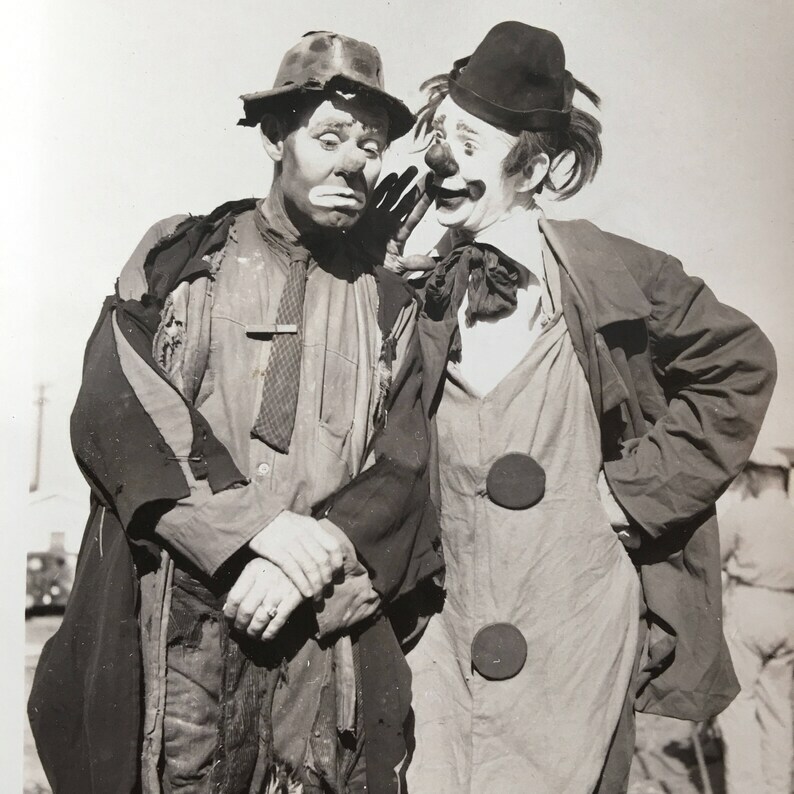 Wonderful antique photo shows a pair of circus carnival sideshow clowns, identified on back of photo as Paul Jung & Emmett Kelly ("Sad faced clown"). Photo by Eddie Jackson Circus Photos, Box 477, Macon, GA.
Photo is 3-1/2 x just barely under 5-7/8 inches with some light creasing. There are two tiny holes at top center. Circa 1945.